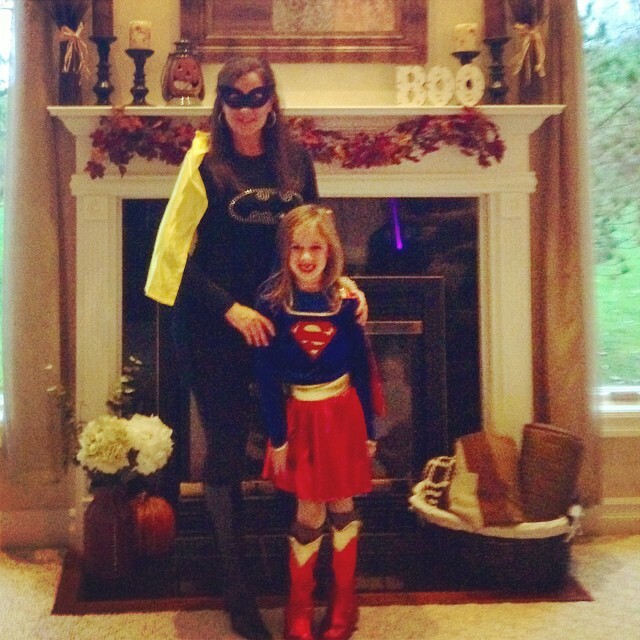 The Family Table with Genevieve: Happy Halloween!!! Happy Halloween!!!! I thought it would be fun to take a little stroll down memory lane...pics of my little pumpkins over the past few years. I have to admit, I was never a huge Halloween fan.....until I had kids. Now I kind of love it! The best part is the costumes and I really love it when I can convince my family to dress as a theme, although it has only happened twice! Ella's first Halloween she was only 4 weeks old and I was exhausted, so there was costume. But she did look cute in her little Carter's outfit! When she was one she was flower. A warm and cozy flower, because it was freezing outside! Then we had the Pottery Barn dog! Ella was the dog and Luke was a monkey. And a chunky monkey too.....look at that chin! And we got our money's worth out of that costume. Luke wore it the next year and then my girlfriend borrowed it for her son! 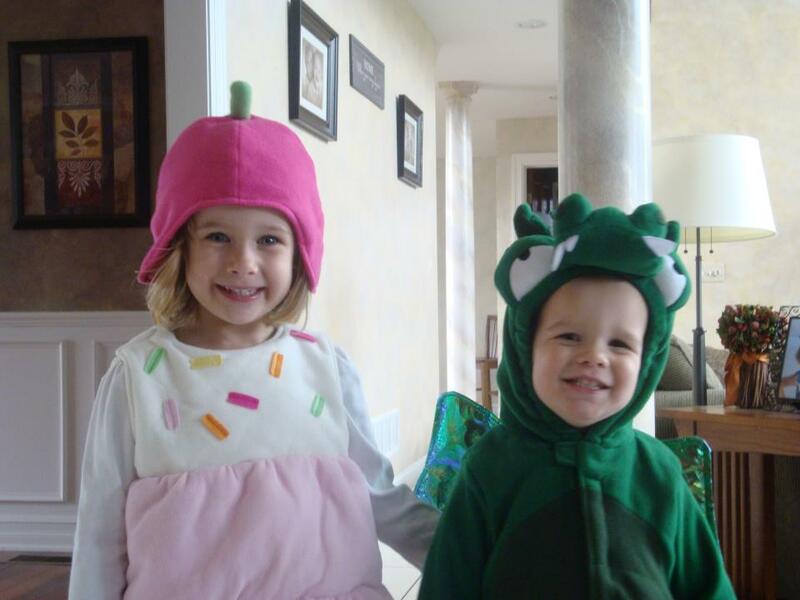 Then the year I opened the bakery, Ella was a cupcake and Luke a dinosaur. The goal was still a warm costume because it always seemed so cold on Halloween! 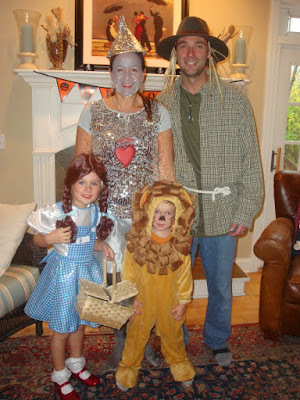 Then finally my wish came true and we were all characters from the Wizard of Oz!! I loved this Halloween!! 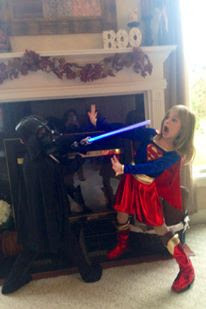 It was short-lived as the next year we were back to random costumes...Darth Vadar and SuperWoman. I was still holding onto my dreams of a family theme so I went as Batgirl! 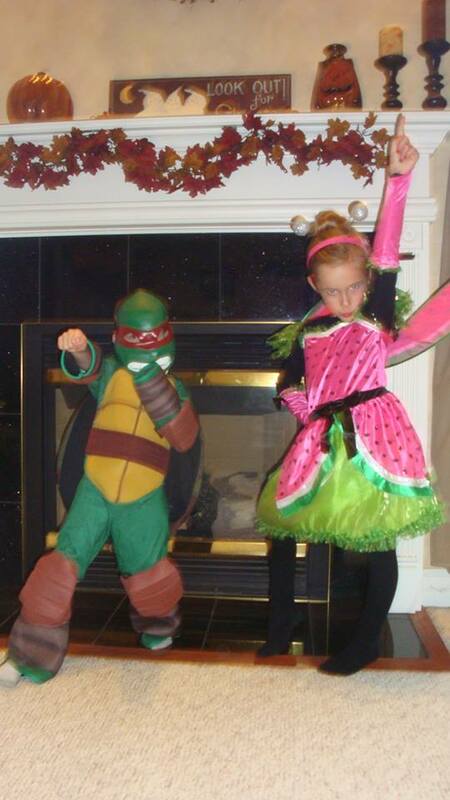 And then back to random...Ninja Turtle and a Watermelon Fairy! Then 2 years ago Luke wanted to be a skeleton and Ella was eyeing a Day of the Dead costume and I felt another theme coming on! We were all skeletons and got Maddie a bone tutu and Bad to the Bone bandana! 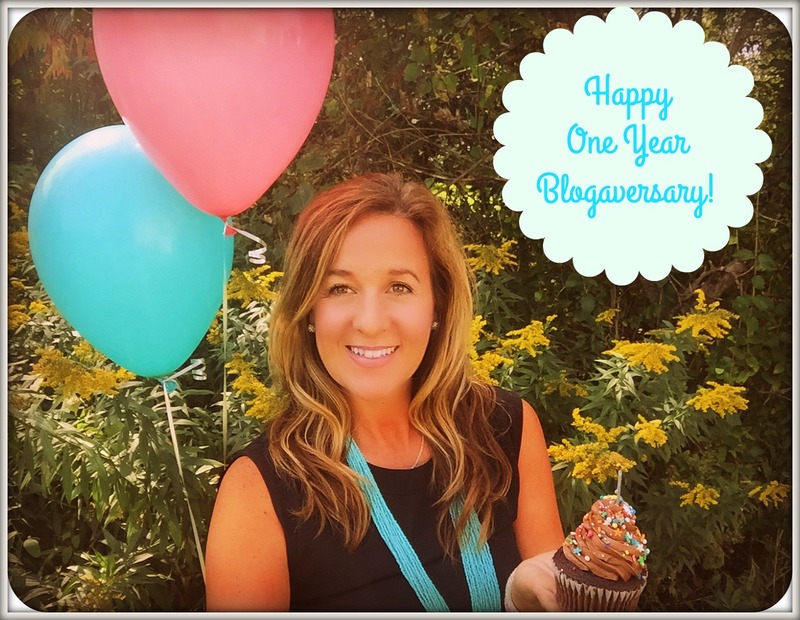 I loved that year! Luke loved it so much he wore it again the next year! Ella was a cat witch. And I threw on all black and a cat mask! I hope you all have a spooktacular Halloween night!